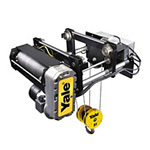 Here at PDQ HOIST, we take pride in keeping your company productive and up and running, whether it be repairing an existing hoist or crane or replacing them with a new hoist. 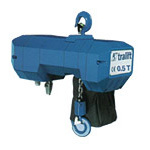 PDQ HOIST is your choice for quality lifting devices, support and training in Iowa. We can also design a new work station for your company. PDQ HOIST is proud to be an Iowa hoist company. We will keep your company compliant with city, state and federal regulations with our overhead crane training and monthly or yearly overhead crane inspection that is required by law, including load testing. 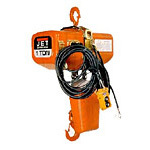 Our Iowa hoist and OSHA hoist inspections will help limit corporate liability exposure in the event of an accident involving your overhead crane system. Authorized Yale, Tractel, and Jet distributor.